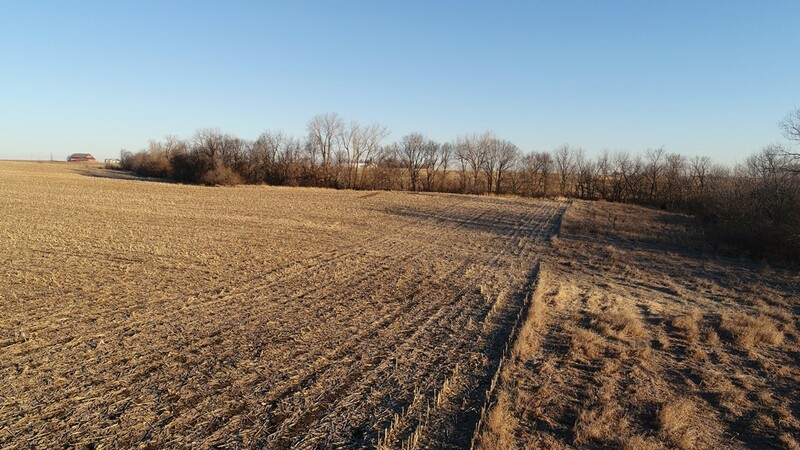 Offering 68 acres m/l in Story County, Iowa, located only 20 minutes from the Des Moines Metro and Ames, Iowa. 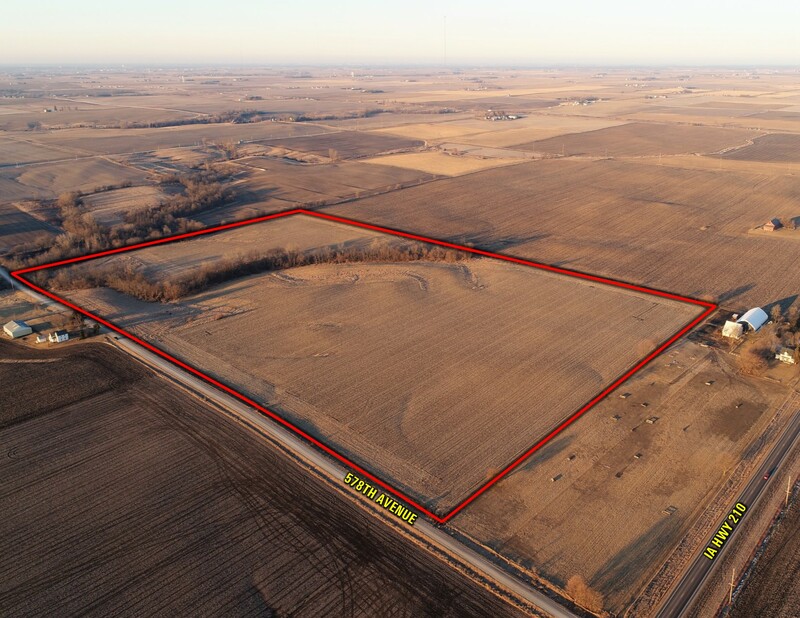 This tract provides a great opportunity for multiple potential building sites near Interstate 35 (Exit 102) and IA Hwy 210 pavement. 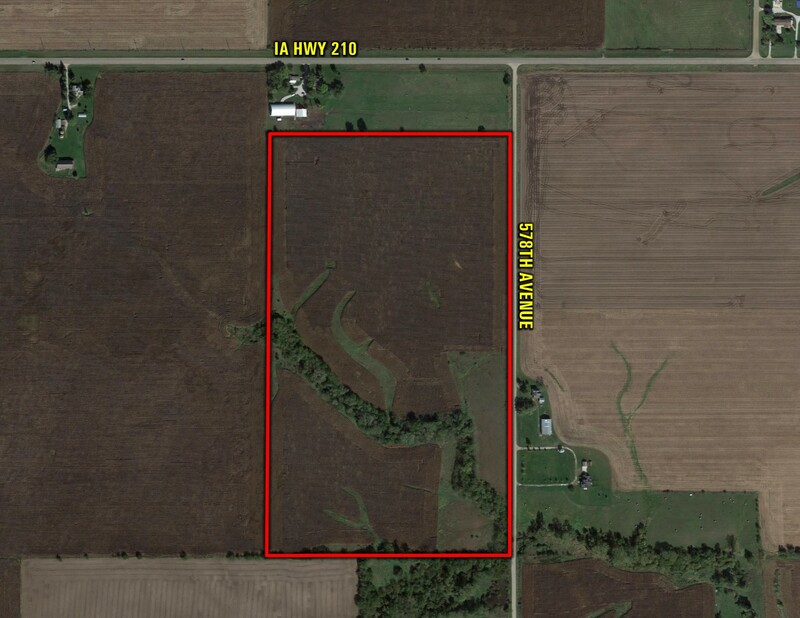 Rural Water is provided by the Iowa Regional Utilities Association where a 2 inch main is available on the east side of 578th Avenue. 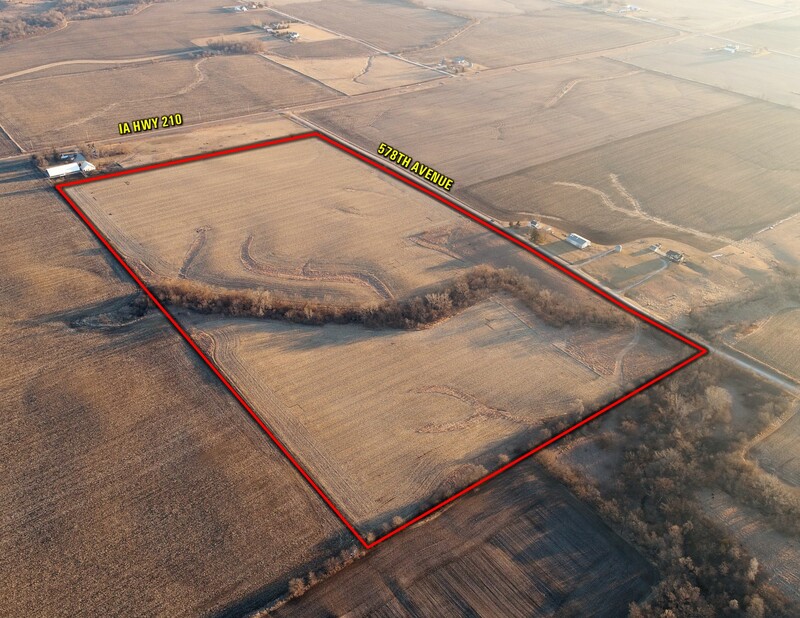 Electric is provided by Alliant Energy off IA Hwy 210 and Consumers Energy from the south on 578th Avenue. 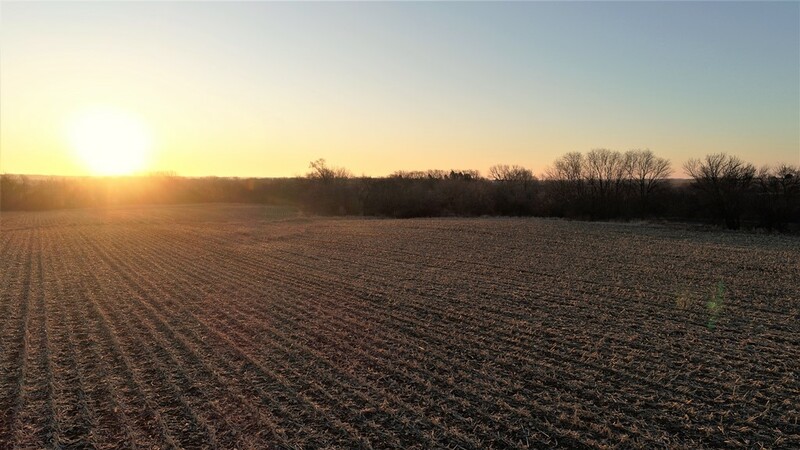 The farm includes 63.60 FSA tillable acres carrying a CSR2 of 79.2 as well as approximately 4.4 acres of timber with a small creek bed. 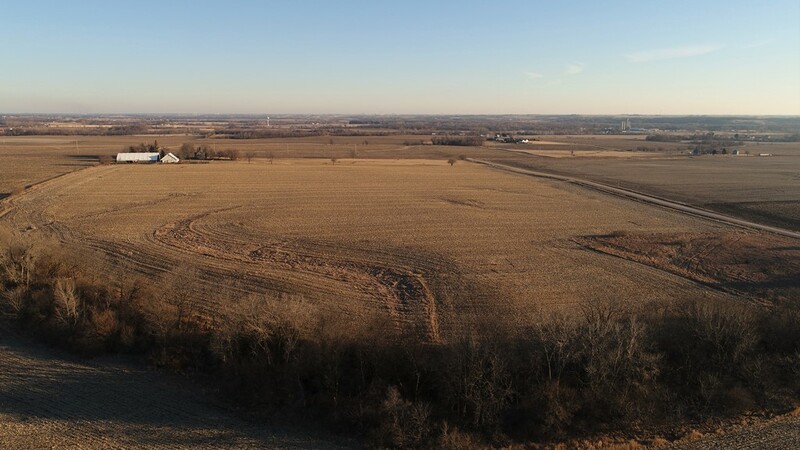 The land includes 6.5 acres currently enrolled in CRP (Conservation Reserve Program) with an annual payment of $940 (Two separate contracts expiring in 2018 & 2020 with practices of CP-10 & CP-2). 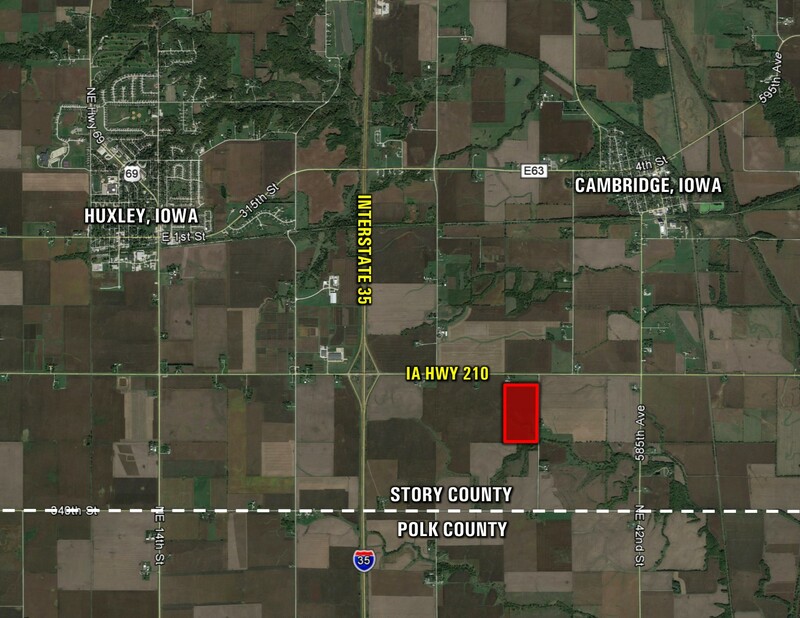 Property is located in Section 32 of Union Township, Story County, Iowa. 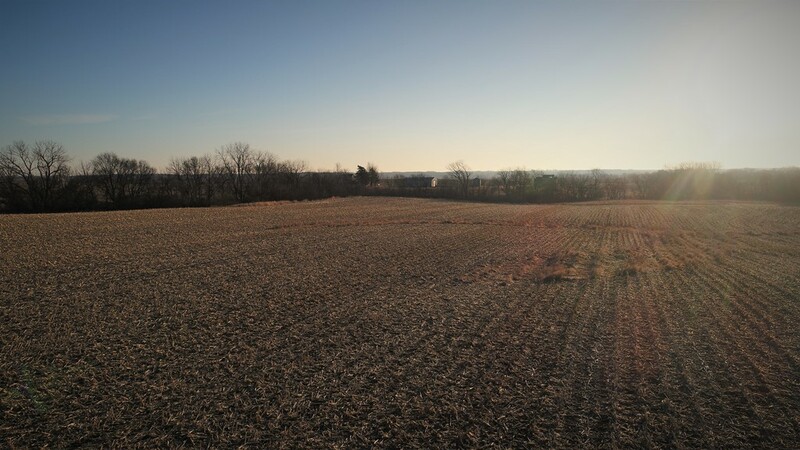 Don't miss this prime opportunity with easy access to Interstate 35 and a short commute to the Des Moines Metro. 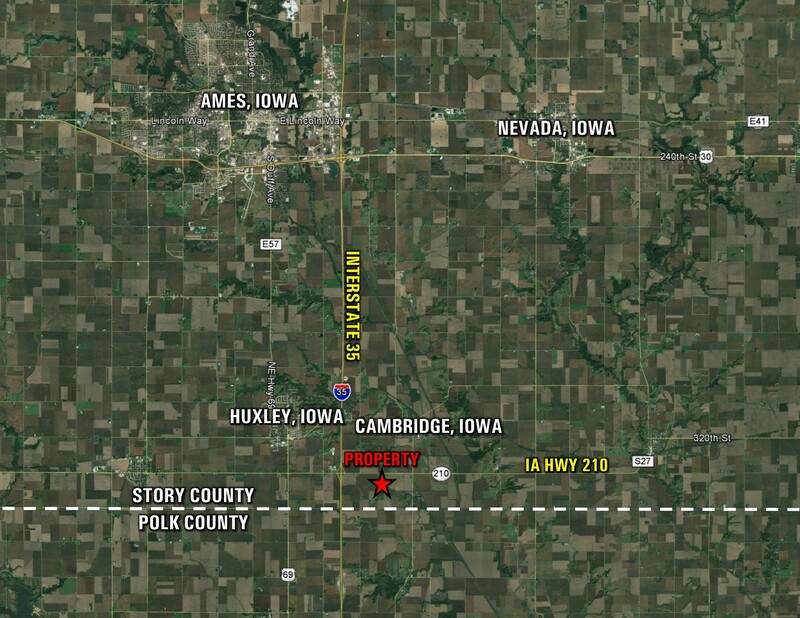 The West One-half of the Northeast One-quarter, Section 32, Township 82 North, Range 23, West of the 5th P.M., Story County, Iowa, EXCEPT that tract of land described as commencing at the North Quarter Corner of Section 32, Township 82 North, Range 23, West of the 5th P.M., Story County, Iowa, thence South 0?1’ East 380.4 feet along the West line of the Northeast One-quarter (NE ¼) of said Section 32, Thence South 89?57’ East 1311.1 feet to the East line of the Northwest One-quarter (NW ¼) of the Northeast One-quarter (NE ¼) of the said Section 32, thence North 0?12’ West 381.6 feet along the said East line to the North line of the said Northeast One-quarter (NE ¼), Section 32, thence West 1309.9 feet along said North line to the point of beginning. 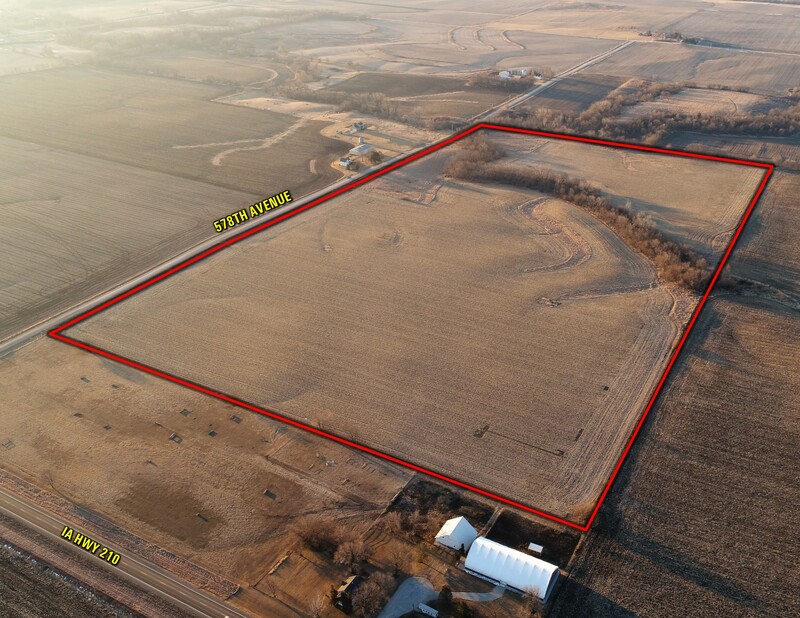 Corn Base - 31.30 Base Acres with a PLC Yield of 154. Soybeans Base - 25.80 Base Acres with a PLC Yield of 43. 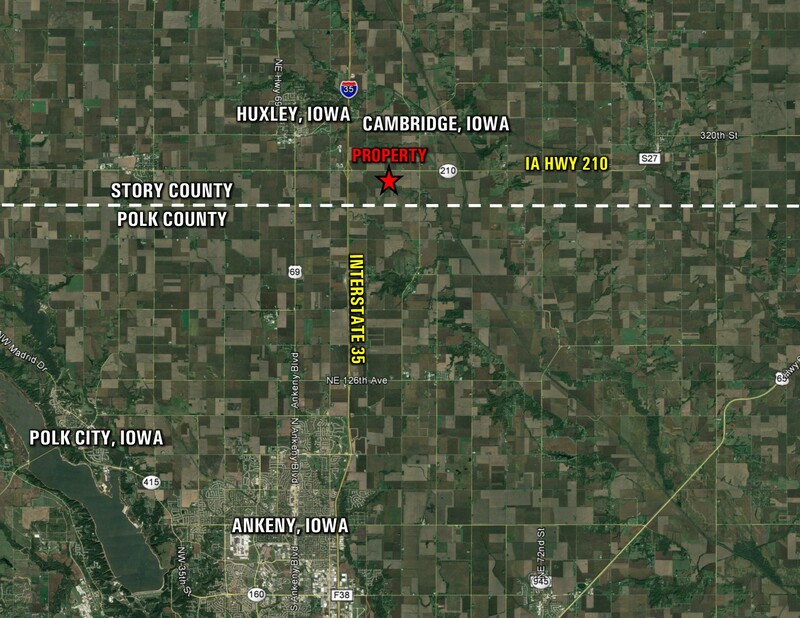 From Interstate 35 (Exit 102): Travel east on IA Hwy 210 for one mile until 578th Avenue. 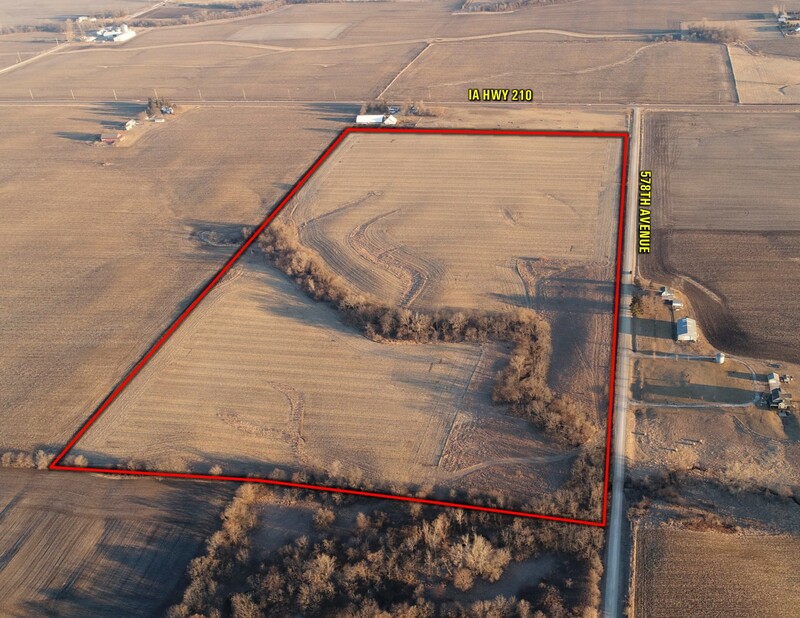 Turn right (south) on 578th Avenue for 1/4 mile and the property will be located on the right (west) side of the road. Look for sign.